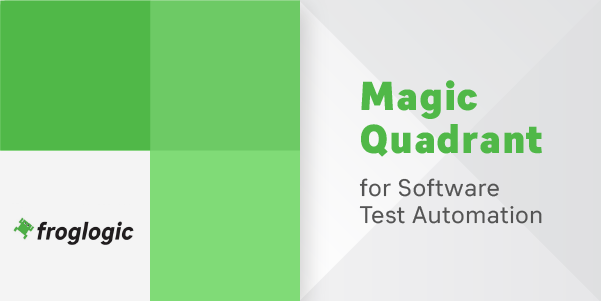 froglogic has been positioned in the 2018 Magic Quadrant (MQ) for Software Test Automation, a report published by leading consulting firm Gartner detailing market research in the software test automation sector. froglogic’s placement in the MQ was based on varied inclusion criteria, including product or service, overall viability, sales execution and pricing, market responsiveness and record, marketing execution, customer experience, and operations. froglogic was recognised as a Niche Player. Our strong support of real-time and embedded applications, including support for multiple scripting languages, a BDD paradigm for which business-focused users can contribute to testing, and advanced object recognition, including OCR and visual verification, make the tool standout despite froglogic’s more focused market footprint. Highly automated functional testing is increasingly becoming a critical part of the DevOps toolchain. 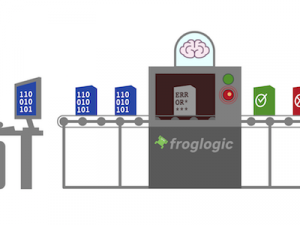 froglogic offers innovative and intuitive tools to develop and execute automated functional tests for products running on different platforms and written with a variety of toolkits. Choose froglogic’s Squish and Coco if you are looking for ways to increase the quality of your code in order to deliver well-tested products with confidence. Source: Gartner, Magic Quadrant for Software Test Automation, Joachim Herschmann, Thomas Murphy, Jim Scheibmeir, 27 November 2018. Gartner does not endorse any vendor, product or service depicted in its research publications, and does not advise technology users to select only those vendors with the highest ratings or other designation. Gartner research publications consist of the opinions of Gartner’s research organisation and should not be construed as statements of fact. Gartner disclaims all warranties, express or implied, with respect to this research, including any warranties of merchantability or fitness for a particular purpose. froglogic GmbH is a software company based in Hamburg, Germany specialized in the development of its flagship product the Squish GUI tester, the market-leading automated testing tool for GUI applications based on Qt, QtQuick, QML, Java AWT/Swing, SWT/RCP and JavaFX, macOS, Windows MFC, .NET and WPF, iOS, Android and for HTML5 web applications running in a variety of web browsers. In addition, froglogic offers the professional, cross-platform C, C++, SystemC, C#, Tcl and QML code analysis tool Coco Code Coverage. froglogic supports over 3,000 customers worldwide, with offices in Germany, Poland, and in the USA. Find out more about us and our products at https://www.froglogic.com.